Hello - I'm back! As some of you know I've been having a very hectic few months, and also not had the majority of my polish stuff with me. I decided to take a last minute blogging break for a week or so, and hope to be back in the swing of posting from now on! Starting me off, I have swatches of the A-England Gem of the Month special, which for March is actually a duo (for just £8 posted!). Read on for my full swatches of 'King Cophetua' and 'Shall be my Queen'. 'King Cophetua' is described as a blackened green holographic, but on my nails it does just look black. 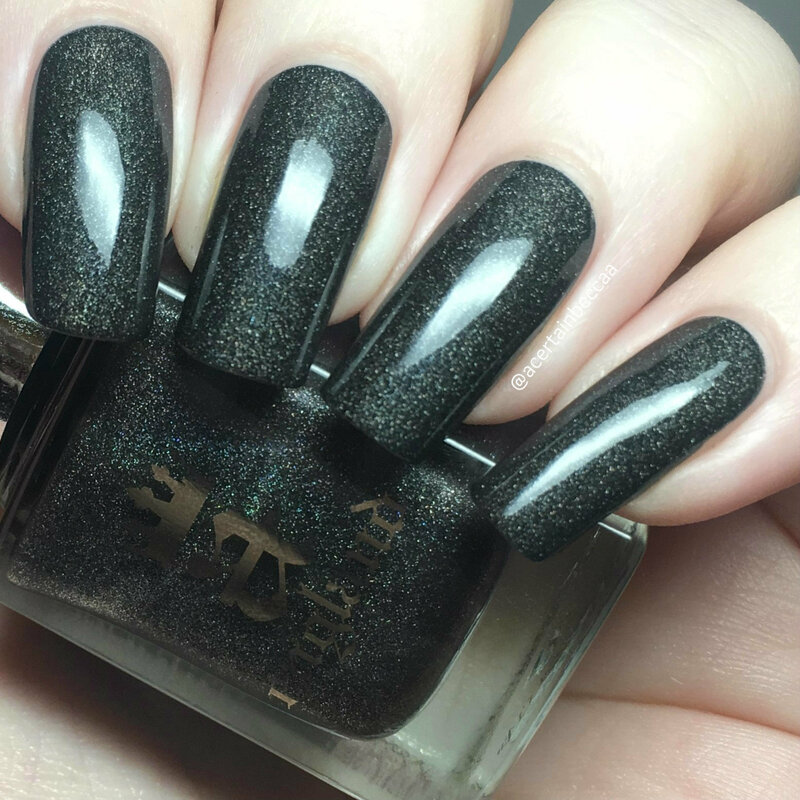 The formula is super smooth and easy to apply, and is pretty much a one coater. I did add a second out of habit, but it didn't really make any difference. Below is two coats with topcoat. 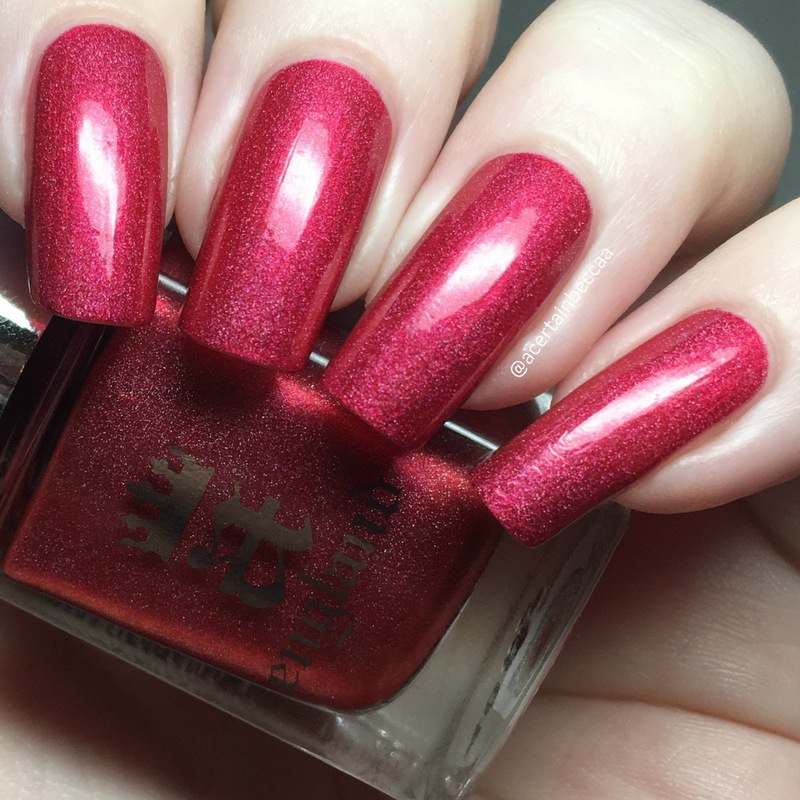 'Shall be my Queen' is described as a 'dazzling imperial red' holographic. Again the formula is super smooth and easy to apply, and very opaque. This is also an easy one coater polish, and this time I didn't add a second. Below is just one coat with topcoat. What do you think? 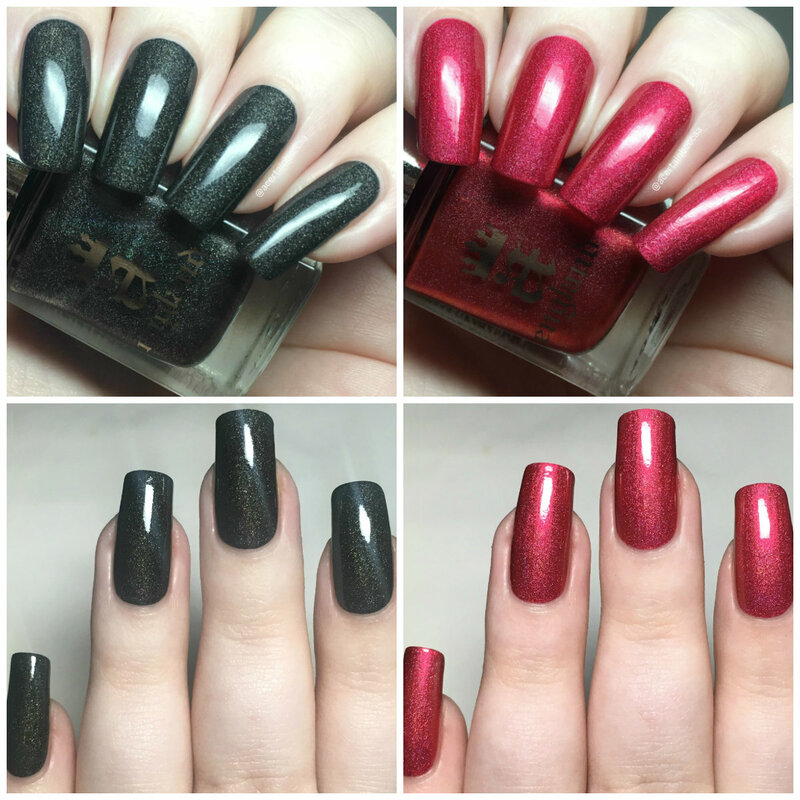 Both polishes are gorgeous, and you can't go wrong for the price - especially being one coaters! I don't actually have too many A-Englands, but all of the ones I have tried have fabulous formulas. They do tend to be slightly on the expensive side, so I'll have to try and keep a better eye on the deals. The Gem of the Month special for March is available for the rest of the month here. I'm looking forward to see what's in store for April!